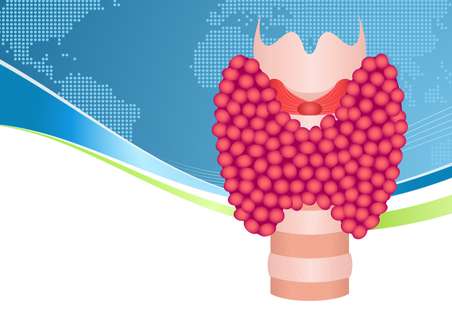 ​Are you still symptomatic with your current thyroid treatment? Do you believe that you have an undiagnosed thyroid condition? Are you looking for ways to alleviate some of your symptoms? If so, begin on this page. ​​✓ Learn the Symptoms: Do your symptoms fall into any of these categories? ​✓ Take the Symptom Quiz! Download the symptom check-list and discuss it with your doctor. ​✓ Understand the Labs: Review the essential lab work beyond TSH and learn about their optimal ranges. ​✓ Download the Lab Form: Print the sample lab order form and discuss it with your doctor. ​✓ ​ Order Full Thyroid Labs: Can't find a doctor to run full thyroid labs? You can order them here. Coming soon! ​✓ Download the Chart: Download the conversion chart to find available strengths and to assist when transitioning from one medication to another. ✓ Print the Options: Print this page and discuss treatment options with your practitioner. ✓ Learn More: Learn about conditions that can impact how your body utilizes thyroid hormone treatment. ​✓ Find Supplements: Find practitioner-recommended supplements to help correct these imbalances and to help find optimal thyroid balance. ​✓ Print the Options: Print this page and discuss treatment options with your practitioner. ​​✓ Find a Doctor: Find a practitioner in your area who runs full thyroid labs and offers treatment options. ​​✓ Order a Phone Consult: Can't find a doctor near you? Visit our practitioner consult list to discuss symptoms, lab work, and a targeted plan for you. Coming soon! DISCLAIMER: The information contained on the website and social media pages of ThyroidChange is for general information only and is not intended or implied to be a substitute for professional medical advice, diagnosis or treatment. ThyroidChange, guest writers, and partners are NOT responsible or liable for any advice or course of treatment that visitors choose to embark on based on this site. This includes outside forums, supplement or product favorites, affiliate marketing, lab testing, or practitioner consults. You are encouraged to review any information obtained through ThyroidChange with your healthcare practitioner.